Hello, right now I am training for my high school XC season. I am keeping up with the varsity group. Last year was my first year running XC as a sophmore. Well we do our workouts first thing in the morning. I am going to start running twice a day after workouts but only keep once a day on recovery days. This is a hard one. I don't know the training your coach is giving you. I don't know your talent and how far away you are from reaching your goals. The risk you run with increasing your mileage like that is overtraining. Especially at an age where you are growing you can expose yourself to running injuries and fatigue. What you really need to do is consult your coach. Tell the coach about your ambitions and your plans. See if he/she sees any objections to you running twice a day. If you start doing this second run thing, then make sure you build up your mileage slowly and safely. And you are right, a strong base is very important when it comes to faster running. Other ingredients would be speedier workouts like tempo runs and intervals. You need to combine all the elements together in a good running program. A great book on running programs is Daniels' Running Formula. 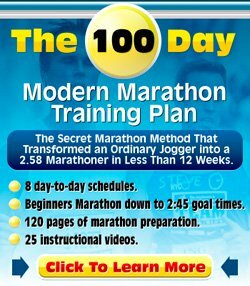 It should help you put the pieces of the puzzle together and provides you with plenty of information regarding running training and running program templates for any distance.